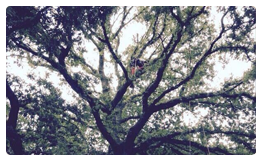 Here at Alpha Tree Care your trees are our passion! 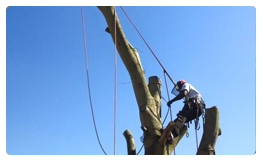 Our fully trained & experienced team welcome all types of domestic and commercial tree enquiries. We work to the highest quality and with the upmost of care. 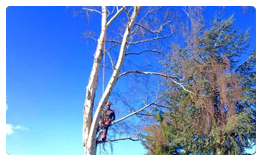 Whether you are a private homeowner with a few mature trees in your garden that need attention or you need a site cleared or you have an overgrown hedge that needs sorting, then do not despair. 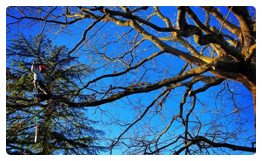 If on the other hand you are a business owner that has trees that are proving a problem at your place of work then with the help of our experienced team, we can help alleviate these problems with the minimum of disruption to your day. 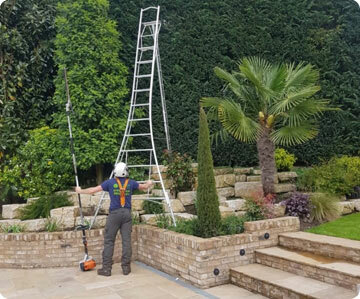 With over 8 years experience and fully trained at Merrist Wood College, we strive to ensure that every job that we undertake is to the best of our ability. We are a friendly reliable team and remain professional at all times. All of our work is carried out to the British Standard BS3998. We are fully insured upto £1m public indemnity and £10m employers liability. 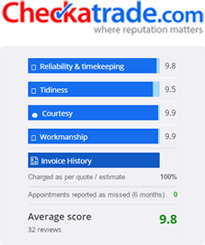 Find us on Checkatrade and see what our clients really think of the quality of our services.